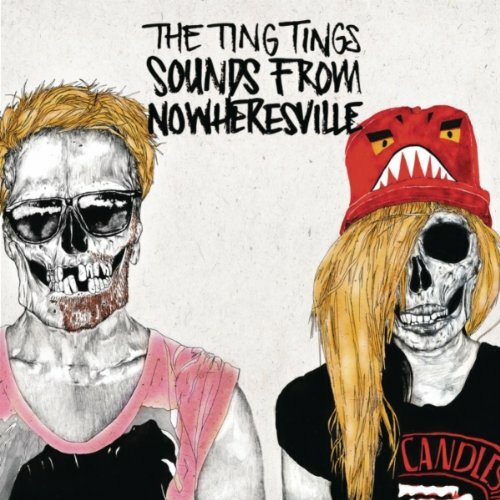 British newer wave duo The Tings Tings second studio album Sounds from Nowheresville continues the charmingly carefree sonic excursion begun by a pair of friends with their chart topping album We Started Nothing. Growing with the harsh realities of the modern music industry while charting a path through an expanding global soundscape, The Tings Tings produce soundwaves on their terms that have quickly gained a far flung following in the four years since their wildly successful debut. “Silence” opens the pair’s latest offering. “Hold your tongue now and let them listen to you silence” as drums, guitar and electronic beats slowly fill the speakers before connecting with a higher reaching keyboard riff to flood the air. Katie White’s rhythmically flouncing vocals flit across the spectrum as the album progresses, taunting, thoughtful and stirring by turns. Moving through a segment drawing an end to the pain inflicted by others, Nowheresville revolves onward. Heavy guitar rocks through the core. Riffs create the backbone of several tracks surrounded by a wide array of supplemental instruments utilized by the British doublet. “This time I’m gonna get it right. I’m gonna place my bass at the Guggenheim.” Cowbell and drum splashed with strung chords surround personal evolution as storytelling explodes into a burgeoning starlet’s self assured inner rock star over the landscape painted by Jules de Martino’s instrumental virtuosity.